Traditional Boulevard fireplace has two choices of distinct accessory log sets (required). 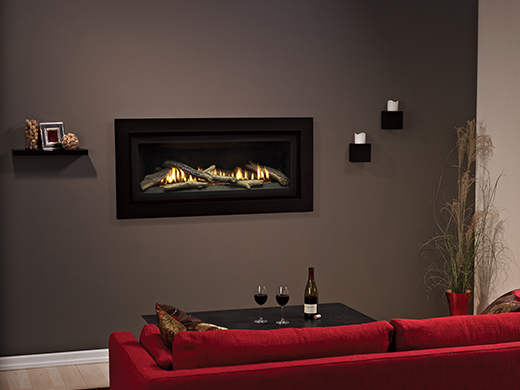 The traditional Charred set features meaty oak logs with rough bark, exposed wood and charring. The Driftwood set is lifted straight from a remote beach with each log worn smooth by wind and waves, and then dried under the hot sun to reveal the rich grain and deep whorls. The optional variable speed blower, circulates even more warmth into the room. Available in LP (31,500 Btu) and Natural Gas (34,500 Btu).